Arrived when scheduled, friendly people inside the office and out. Reasonably priced. I was inundated with ants suddenly. APWM was able to fit me in the next day. There was no smell and I had a vacuum canister full of dead ants by noon. They were able to come out in a few days to do a weed spray. Although I haven't seen any sign of the weeds demise, the pretty green color makes my lawn look better in the meantime. ;) Its only been 3 days. I will definitely be using them again. Very friendly, great to deal with, and they were able to work around my schedule! I would definitely recommend them to anyone looking for pest and weed control! I'll leave a rating after I visit the site. Thank you for your service and reminders. Yes, I am happy however the spray on the outside of my building is starting to discolor the outside of the building? You have a wonderful service for both Villa de Esperanza and Golden Service. The product works very and your staff is so polite, punctual and courteous. The service tech was very professional and thorough. Quick appointments and great customer service. THe scheduling has been great and communication with the techs on site as well. What a wonderful person Chappy is so knowledgeable and just a real blessing. Very pleased with their service. Good communication as well. All the products are really good. Wow!!!! We Have on time and great service. Call or email us at advancedpesttxnm.com!!!!!! Good service. Always on time. Great job, no more ants! Staff are wonderful to work with. Thanks for coming, same day!!!! The people that work for this company are awesome! The girls in the office are very friendly & professional and the two service men I’ve had out were very friendly & professional as well. 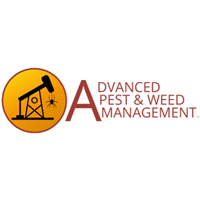 The folks at Advanced always have done a professional job for us on pest and weed management. Visits are always scheduled and any additional issues or questions are promptly resolved. Highly recommend them. Always great customer service and great knowledge of personal. Wonderful service and wonderful people! We've been very happy with your service for several years. Techs are always on time, friendly, and get the job done quickly with virtually no bugs in the house. Was on time very professional and helpful.